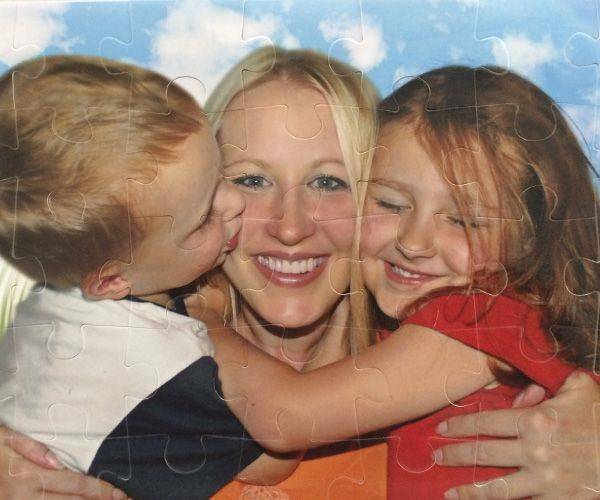 Personalise this 35 piece magnetic jigsaw with your photo! Magnetic jigsaw puzzles are fun to assemble as they are made with your selected photo, artwork or design. 35 piece magnetic jigsaw puzzle can be used for marketing activities, team building activities or as a surprise gift for your friend, colleague, or your loved one! Advertising has always been a competitive business and looking for a new way to be noticed will be at the forefront of every advertising department. Leaflets can be sent out to customers, but what about sending them a jigsaw? It may seem a strange idea but as anything can be placed upon a 35 piece magnetic jigsaw puzzle, you can get ahead of the competition and send something that is going to be a little bit of fun. In case you are concerned that ordering a 35 piece magnetic photo puzzle is going to take up too much time, this is not the case. Everything can be done from the comfort of the office and delivery made directly to you could be arranged in around a week. At certain times of the year this may be hard to meet, so at times like Christmas get orders in as soon as possible and don’t be one of the ones who may lose out. If it is the business route that is chosen, then it will be likely that a logo or product will be selected. 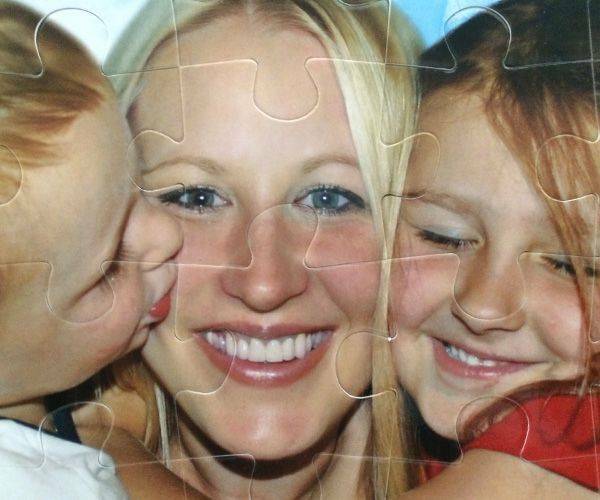 Clearly, some companies have an advantage when it comes to having a product on the pieces. 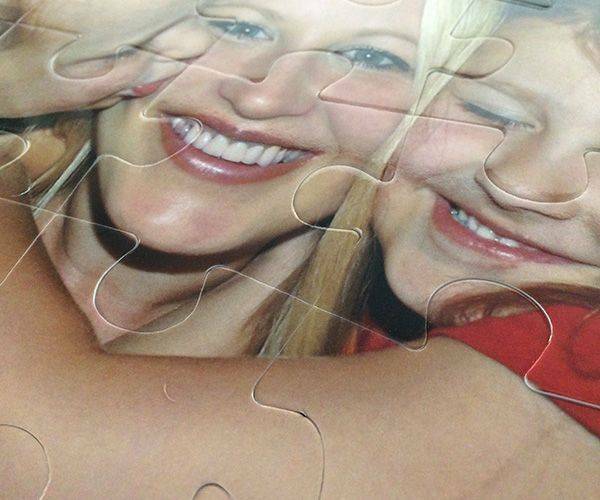 Once the jigsaw has been made up it can be stuck together and used a wall decoration or placed on a shelf. A garage specialising in expensive cars is clearly going to be onto a winner here over say a bathroom installation company as most people would rather have a top of the range car on the wall instead of a wash basin or piece of pipe. 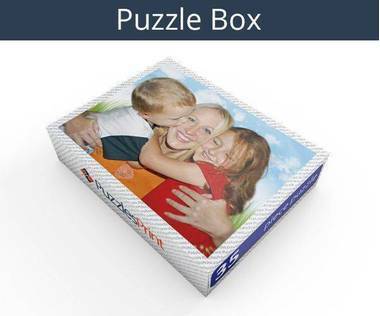 35 pieces will be enough to get someone interested in making up the jigsaw and this applies to a promotional product as well as a gift for a child. Once completed the product will measure 10.6” x 15.8” and the picture will be bright and clear. The resolution will have to be a minimum of 1600 x 2400 pixels and if this is not the case when you first upload you will be told how to get it right. 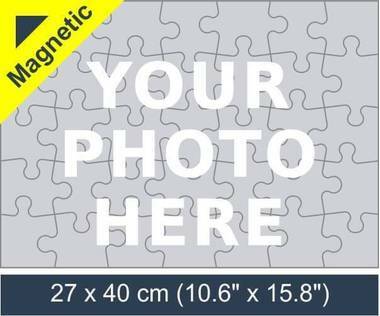 Once 35 piece magnetic photo puzzle is completed the plastic pieces will be placed into a box that also bears the image and sent out for you or a lucky recipient to enjoy. 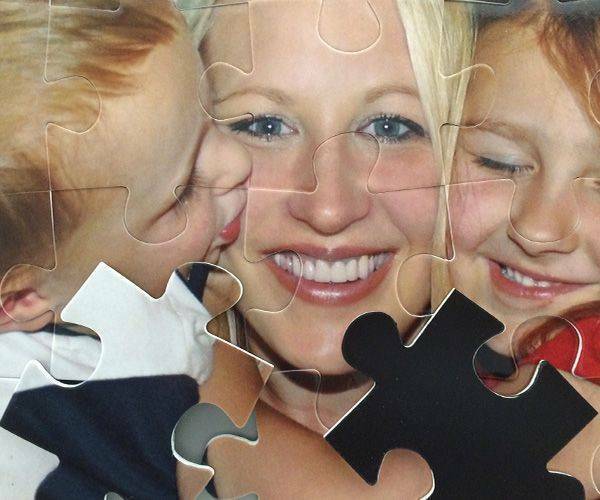 Third puzzle I have ordered from this company. Very satisfied with speed of delivery and quality.